2019 is all about your next European adventure — it’s not just where you’re going but what you’re going to do. We’ve got a lineup of incredible events happening in five of the continent’s most dynamic cities. A haven for culture lovers, the Czech Republic hot spot was named a UNESCO Creative City of Literature in 2014, thanks in part to its incredible array of browse-worthy bookshops (the historic city has Europe’s highest concentration of tome-lined storefronts) and literary cafés. 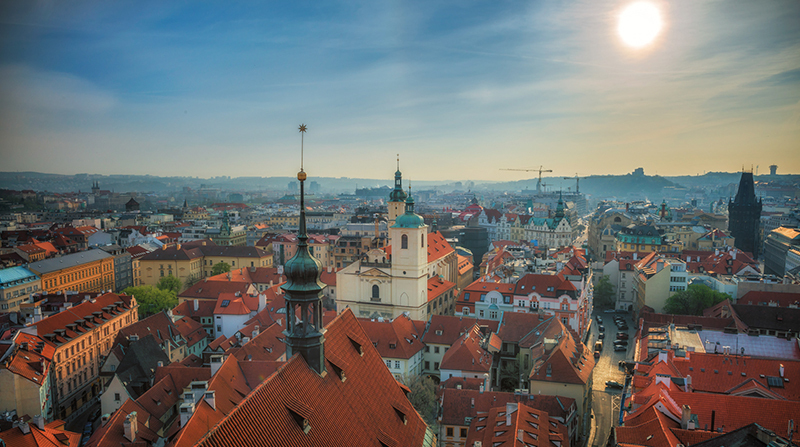 Throughout the year, Prague celebrates its book smarts through a series of festivals dedicated to literature and art, including May’s poetry-focused Microfestival and October’s Prague Writers’ Festival. This article first appeared in Forbes Travel, January 2019. One of the more delectable draws is the 17-day Czech Beer Festival (May 9 to 25). In recent years, the event has become a culinary attraction, where chefs and restaurants partner to showcase a wide breadth of classic cuisines and pairings. When you’ve had your fill of local dishes, digest at Four Seasons Hotel Prague, a true Bohemian rhapsody sitting on the Vltava River in Old Town. The posh property is a beautiful labyrinth of the Czech Republic’s varied architectural styles, uniting three historic structures (classical, Renaissance and 18th-century baroque) with contemporary builds to create an irreplaceable compilation both inside and out. It should come as no surprise that Italy’s fashion capital is also a top global destination for design. Nothing shows off Milan’s stylish side better than Salone del Mobile (aka Salone), a five-day showcase bringing together the world’s best designers (interior, industrial, fashion, tech and fine arts) in a celebration of upcoming trends and movements. From April 9 through 14, expect fabulous exhibitions, clever collaborations and electrifying launches as well as coveted parties by artists, designers and fashion houses. Between gatherings, rest your head at Forbes Travel Guide Recommended ME Milan Il Duca, a stunning, strategically located stay within walking distance of the famous Quadrilatero della Moda (fashion district) and the modern Porta Nuova quarter. The boutique luxury hotel fits Salone’s vibe well with 132 chic rooms adorned with Molteni&C furnishings and a buzzy rooftop bar. Portugal’s sun-drenched capital has been making its way onto everyone’s travel bucket list over the past few years, and its time you made it to the city. From May 17 to 20, Lisbon hosts Festival Internacional da Mascára Ibérica (International Iberian Mask Festival), a costumed parade and four-day celebration of the historical and cultural ties that exist between Spanish and Portuguese regions. But if you want a more contemporary vibe, book a weekender in July for Super Bock Super Rock (July 18 to 20), one of Europe’s top music festivals. The 2019 lineup includes Lana Del Rey, The 1975, Metronomy, Kaytranada, FKJ and Superorganism. As headquarters of the United Nations, this scenic Swiss city is a cultural melting pot. Just stand on its pristine sidewalks and you’ll hear dialogue in more languages than you can imagine. Summer is prime time to visit this mountainside metropolis. Stop by in June to take in the internationally renowned Montreux Jazz Festival (June 28 to July 13), then drive over to nearby Vevey for the epic Fête des Vignerons (July 18 to August 11). Held only five times a century (last celebrated in 1999), this UNESCO-recognized event is Switzerland’s oldest and largest wine festival. 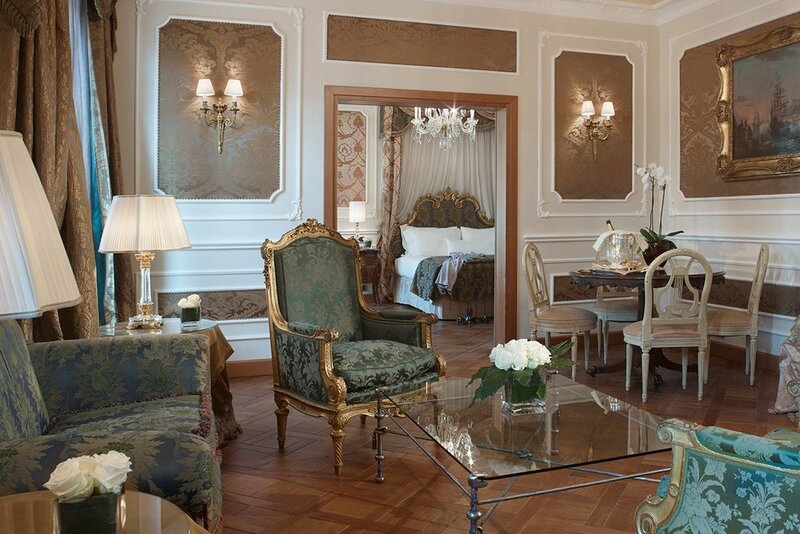 Perched on the banks of Lake Geneva, Five-Star Le Richemond Genève provides a picturesque respite between outings. With nearly 145 years of history, this is a grand masterpiece of marble floors, gold-filigree finishes and vintage pieces. This unspoiled promontory on the French Riviera is a historic haunt for the wealthy and rowdy, including actor Charlie Chaplin, The Great Gatsby author F. Scott Fitzgerald, Rolling Stones guitarist Keith Richards and U2 front man Bono. Situated midway between Nice and Monte Carlo, this tiny peninsula offers a gorgeous getaway during the 77th Monaco Formula 1 Grand Prix (May 26 through 29). Consider Five-Star Grand-Hôtel du Cap-Ferrat, A Four Seasons Hotel the perfect pitstop between races. This glamorous, 17-acre waterfront retreat puts you just 20 minutes from the glitz of Monaco. You can even organize Riviera boat transfers from the harbor of Saint-Jean Cap-Ferrat to the main event. Before you make any plans official, remember that the high-end hotel is a seasonal property and closes each winter until March 1. Visit after April 26 to take advantage of its renowned alfresco restaurant, Club Dauphin. When Starbucks decided to open in Milan, I will admit, I was slightly heartbroken, but after having visited and given a behind-the-scenes peek at the Reserve Roastery, I understand that the Milan venture is very meta. Milanese love it because it reminds them of the US, and no, it's not going to replace the Italian coffee shop. This article first appeared in Forbes Travel in September 2018. While Europe’s first Reserve Roastery from Starbucks adds a new corner to Milan’s coffee landscape, it’s best to remember that Italy’s fashion capital perfected the pastry scene, introduced espresso to the world and invented aperitivo hour long before the Seattle-based shop started whipping up frappuccinos. Still, this September-opened artisan coffee shop is just the third in the world after Seattle and Shanghai. The 25,000-square-foot Reserve is a celebratory, steampunk nod to Seattle coffee-making. Venetian marble counters, glass light fixtures and Palladiana mosaic floors offer a locally inspired backdrop to a labyrinth of sorting tubes and a mega-roaster that is said to provide coffee for all of Europe. The Reserve Roastery’s menu is a deep dive into coffee culture, from bean selection and roasting to offering multiple brewing methods (Modbar pour-over, coffee press and the visually stunning siphon) and beverages (espresso, cold brew and the proprietary clover-brewed coffee). During your next stroll around this cultural gem, visit the stylish new Starbucks or any of these five more inimitable bars for a taste of the city’s caffeinated history. 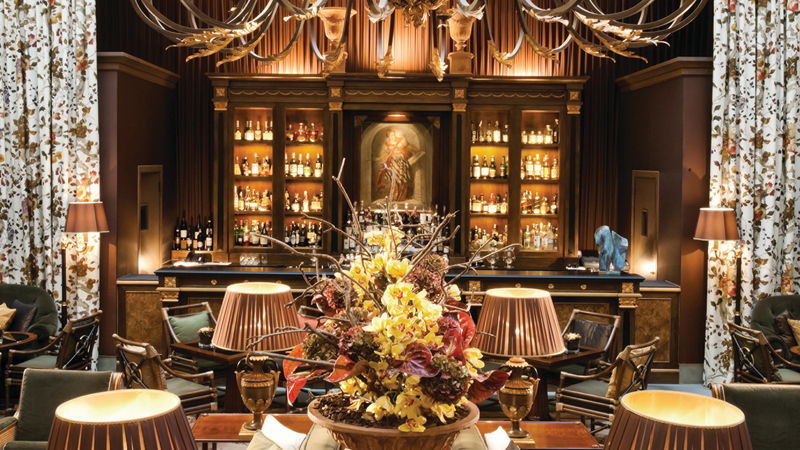 Hidden inside Forbes Travel Guide Four-Star Palazzo Parigi Hotel & Grand Spa Milano, this cozy spot boasts a warm wood living room with a backlit, veined marble bar, art-nouveau-style decorations and giant windows leading to an outdoor garden — if the weather permits, try to snag an alfresco seat. The bistro lounge is ideal for a nightcap and its afternoon tea (served daily from 4 to 7 p.m.) is a chic, Parisian-style treat. What to order: You can get your caffeine of choice during the day, but ask the bartender for a classic negroni to wind down your evening. This nearly two-century-old, family-run gem is one of the crown jewels of Milanese pastry shops. Designed by architect Roberto Baciocchi, its three locations are beautiful with mint green marble walls, cherry wood counters and clear crystal shelves that show off cakes, croissants, chocolates, jams and delectable confections. Traditionally the spot for stylish edible gifts, Marchesi has a gorgeous lounge area peppered with Milan’s fashion fabulous who gather over coffee and afternoon aperitivi. What to order: During the holidays, you’ll want to queue for a panettone (Marchesi’s coveted Christmas treat) or the Easter colomba cake. Otherwise, peruse the counter for any of the pastries before heading to the lounge to nibble on your purchase. This Via Montenapoleone stalwart has long been a favorite of the international fashion scene. Mosaic floors, gilded mirrors and a crystal chandelier drop not-so-subtle hints that Milan takes its coffee as seriously as its style. The 200-year-old coffee and pastry shop is worth a visit for the people-watching alone (the bar is a popular spot for the city’s fashion elite). To take it all in, you’ll need to nab a table where coffee drinks and aperitivo cost a little more, but you’ll also receive plush banquets and stellar service. What to order: In the morning, stand up for the cappuccino and cornetto (cone-shaped pastry), and ask for a scorza d’arancia (chocolate-covered orange peel). In the afternoon, grab a table and a negroni sbagliato (the classic Italian tipple, but topped with prosecco rather than gin), the socialite signora’s favorite. At first glance, this whimsical spot appears to be a glamorous candy shop with a beautiful carved wood countertop perfect for a morning cappuccino. But the true Milanese know that you come to Bastianello to linger. The elegant pastry and coffee shop is the apex of aperitivo hour — its dining room veranda is where the who’s who of the city’s haute bourgeois meet up for handcrafted cocktails and a smattering of snacks. What to order: Keep it simple with an Americano and the delectable club sandwich. This traditional pastry shop and bar may not be as fashionable as some other Milanese caffés, but it’s a local institution nonetheless. Its mid-century vibe (think 1950s-era décor and formally clad waiters) charms an eclectic range of customers, from elegant couples to school-aged kids, as does a menu of snacks that includes coffee, sweet pastries, savory finger sandwiches and cocktails. What to order: The morning espresso is a must. Or linger into the night with a bite of El Meneghin (cake made with candied fruits) and a glass of maraschino. Fashion, food, finance and all-round fabulousness. Here’s how to spend an inspired 36 hours in Milan, Italy’s “It” city. 10am: Check in at Hotel Indigo Milan – Corso Monforte and you’ll find yourself in the centre of an art-focused crossroads, from Milan’s illustrious Baroque to its contemporary cultural kingpin vibe. Step into modern Milan of the 1930s at the Villa Necchi Campiglio, in park Villa Campiglio directly across the from the hotel. Named for socialite sisters Gigina and Nedda Necchi and Gigina’s husband, Angelo Campiglio, the Villa Necchi Campiglio was the centre and centrepiece of Milan’s mid-twentieth century social scene. Architect Piero Portaluppi combined his unique rationalist flair of sleek lines and materials with Frank Lloyd Wright’s functional sensibilities (including custom pieces and built-ins). His 1930s design was innovative in details both inside and out. In 2000, Gigina bequeathed the property to FAI, Italy’s national trust, which opened the villa as a museum in 2008. Photo credit: Villa Necchi Campiglio. 12pm: For lunch, the villa’s solarium doubles as a charming cafeteria and features favourite Milanese dishes including a green risotto and traditional veal cutlets. Wondering why the Villa Necchi Campiglio looks familiar? The iconic home was setting for the 2009 Italian movie I Am Love, starring Tilda Swinton. 3pm: Make your way to Fondazione Prada. This 205,000-square-foot complex is home to an intense collection of contemporary art works by 20th and 21st-century Italian and international artists—from Giacomo Balla to Francesco Vezzuoli and Damien Hirst. Its 2015 Rem Koolhaas/OMA design includes a cinema. 6pm: Stop for aperitivi at Fondazione Prada’s cocktail hub Bar Luce, the Art Deco–inspired bar designed by director Wes Anderson. And then make your way up the newly opened Torre, a nine-story modernist tower, with art galleries that eventually lead to the rooftop terrace bar. 8:30pm: After drinks, stay for dinner at Ristorante Torre, the Fondazione’s tower restaurant. The illuminated cityscape of Milan sprawls away beyond its floor to ceiling windows, and the views inside are equally good with art work including custom wall-hung plates and midcentury design pieces like Tulip tables, and executive chairs by Eero Saarinen. The menu features regular new tasting dishes created by a rotation of Michelin rising star chefs from the CARE’s Chef Under 30 project. Ristorante Torre. Photo credit: Fondazione Prada. 8.30 am: Build up an appetite with a stroll through the historic Giardini Pubblici, established 1784 and considered the oldest city park in Milan. Then find a counter spot at Pasticceria Marchesi, the posh cafe on via Montenapoleone in Milan’s Fashion Quadrilateral. A city landmark, Marchesi is the perfect scene for morning coffee, and has a mouthwatering line up of pastries, traditional pralines and savoury treats. Take a look around the Fashion Quadrilateral, an oasis of haute couture. Via Montenapoleone and its side streets are lined with beautiful boutiques representing some of the world’s most admired fashion houses. 11.30 am: Milan’s designers all know that contemporary style comes from centuries of culture. 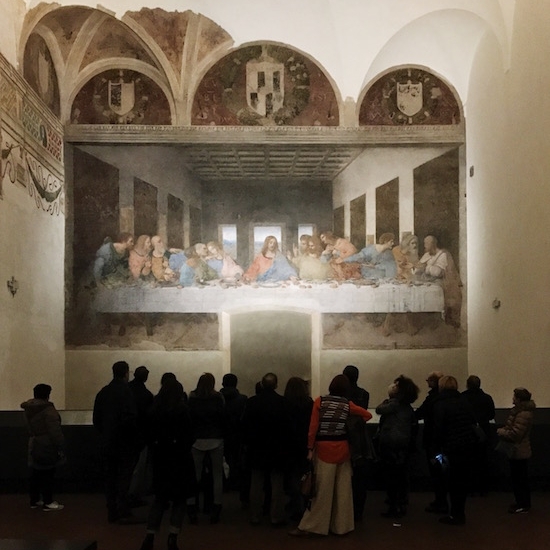 Catch up on Milan’s history at the Galleria Arte Moderna, a late 18th century villa whose Baroque trappings are the backdrop to an enviable collection of Italian and European artwork from the 18th to the 20th century. The rise of modern Milan is shown through key work by Balla, Boccioni, Canova and Segantini, which sit side by side with Van Gogh, Manet, Cezanne and Gaugin. 1pm: For lunch, head to LuBar, the galleria’s on site cafe for creative Sicilian street food in a whimsical fin-de-siècle setting. 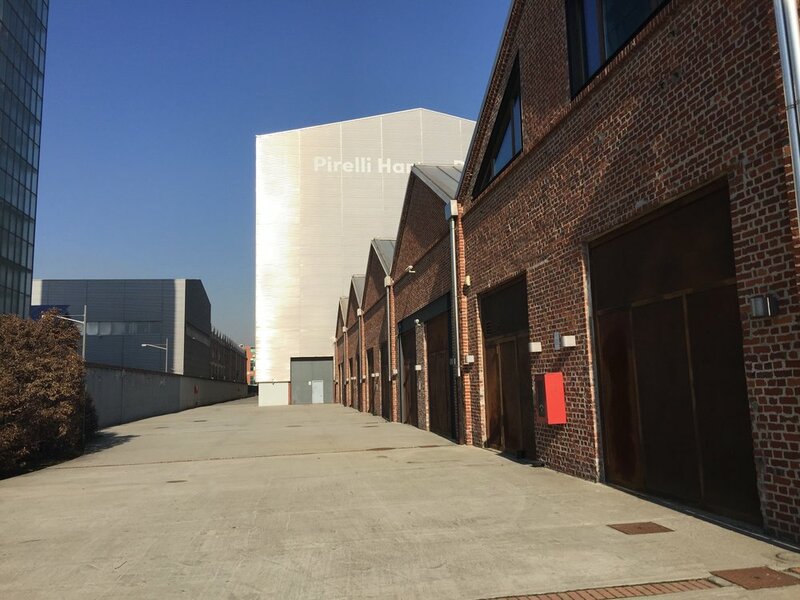 3pm It’s time to go back to the future by visiting the Pirelli Hangar Biccoca, a free-entry contemporary complex on the grounds of a former Pirelli tire factory. This is now one of Europe’s largest exhibition spaces, with three buildings covering 100,000 square feet. It’s dedicated to contemporary art exhibitions featuring works by Italian and international artists. Guides are on hand to help you navigate around the vast complex. 8pm By early evening, you’ll want to grab an outside table at Iuta Bistrot, Hangar Bicohcca’s onsite gourmet restaurant where the city’s cognoscenti congregate for stylish conversation and aptly-mixed cocktail. 10pm Ready to head home to the hotel? Before you do, make a pit stop at Bar Basso, a cult classic popular with the fashion and design crowd, known for introducing the world to “aperitivi” hour and its own take on the negroni. This article first appeared in Belong Magazine, June 2018. This article first appeared in WallPaper, December 2017. When Etel decided to open its European flagship in Milan, they wanted to reflect the palimpsest of the city today – a place enriched with tradition, innovation and style. Collaborating with Como-based architecture firm Superluna, a triad of Italian architects whose cumulative work traverse four continents, Etel chose a former gallery in the Maroncelli district, a neighbourhood where classic boutiques and independent shops rub shoulders with Italy’s most innovative architectural endeavours, like the Bosco Verticale and the Unicredit Tower. With a goal of creating a conceptual meeting point between Brazilian and Italian culture and design, Superluna stripped the detritus decor of the two-level gallery space and removed extraneous walls, transforming the space into a white-washed surface, with original symmetry and ornaments beccoming a canvas. And from there, Etel would grow. Literally. 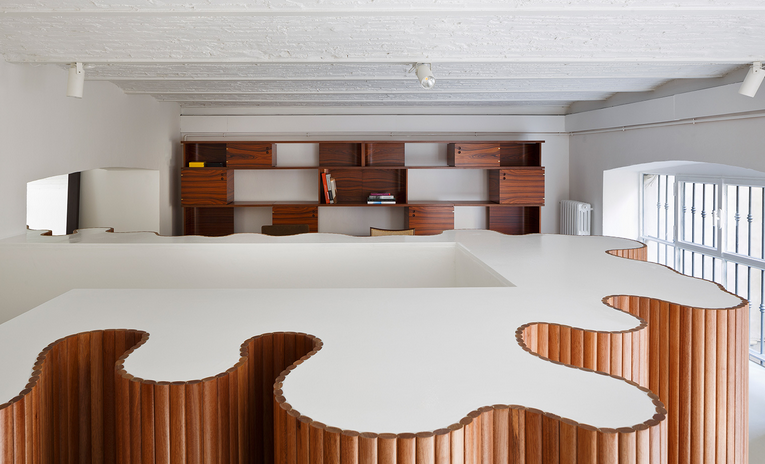 Centrepiece at the two-level gallery is an undulating wooden screen, hand-made and designed by Etel founder Etel Carmona, that is deliberately reminiscent of a tree trunk. The trunk cuts the centre of the showroom physically and figuratively, from its visual impact as the most organic element in the space to its functional aspect as a hidden staircase, bringing you into the space and inside the world of Etel. ‘Since the tree is the heart of Etel Design, we wanted to give the feeling that we planted one right here,’ says Superluna’s Luca Sartori. Divided into two almost equal sections, Etel’s ground floor is an exhibition area – a modern salon where curated pieces by historic modernist designers like Oscar Niemeyer and Isay Weinfeld, as well as Etel’s own creations are in constant dialogue with contemporary art exhibitions. Case in point: the current photo show by Ruy Teixeira and upcoming Véio exhibition, both highlight a harmony with the different pieces and history between them. Upstairs, the mezzanine level is a more cinematic experience, in fact, it’s more than a showroom, it’s a living space, work area and library. When Forbes Travel (October 2017) asked me to find great Italian aperitivi around the world, here's where I found myself barside. . . 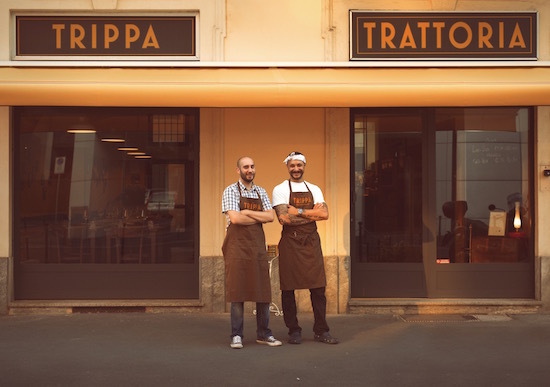 Familiar, nostalgic and beckoning, Trippa is designed like an old school trattoria, a single and clamorous room of vintage-inspired wooden tables and chairs, with authentic vintage lamps, fans, and posters. The room is enveloped in a gorgeous mustard color that I later find out is "Milan tram yellow", as in the city's beautiful (and refurbished )1930s trams. The vibe is chatterbox hang out. Everyone knows everyone else, and are constantly playing table hopscotch, while owner and chef Diego Rossi holds the floor both conceptually and gastronomically. I stumbled across Trippa thanks to my friend Sara*, an intrepid food and travel writer. Sara knows where to eat, so the table's always up to her which is probably why she is co-founder and bosslady ofSauce Milan, the site for Milan's food and restaurant scene. Of course, Sara was spot on. Trippa was perfect - for me and for the evening, which initially began with a viewing of the Last Supper. Next thing I know, a kerchiefed Diego is bombarding me, Sara, Laura and Darius with vegetables- crunchy white turnips (were they slightly breaded? 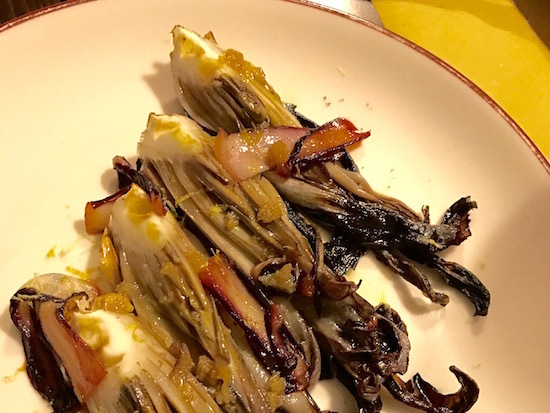 ), grilled raddichio with roe, a leek panella, fried artichoke and a trio platter where all I remember is the broccolo. And that was just the beginning. We had a fabulous fassona tartar, a valorous vitello tonnato (perhaps the very best I have ever had), and a perfect grilled polpo. It was almost as if I needed nothing more until the bone was brought out. Marrow on the half bone. I could write sonnets to this salty masterpiece that we spread over warm bread. Beatific. Gastro-terrific. Mind-blowing, belly showing. A half-bone beat with a salty treat. Bone marrow, I'm yours. Life Imitates Art. That's the only thing I was thinking about it as I looked across the table at Sara (left), Diego and Laura, my culinary trinity, who brought me and Darius from enamoured to enlightened. Trippa was a masterpiece, and then I noticed that they were too. Just like Da Vinci's fresco. Nothing is a coincidence. Don't laugh, but Milan is my Breath of Fresh Air. My Mind Clearer and my Get Back to Reality. As much as I love Rome and its ever-permeating chaos, every now and then, I need to get of my head, literally and metaphysically, and I need Milan like some people need that morning meditation, coffee, workout, cigarette or shot. Just 2 hours and 55 minutes on the FrecciaRossa and I've got my fix. Grab your Milan map and head seven or so kilometers slight northeast of the Duomo. Likely a lot of the city's outer-lying neighborhoods, Bicocca is a Vonnegut setting - town build up up on the remains of Borgo Pirelli (Pirelli Town), Italy's early 20th century City of Industry. Back in the day, Bicocca was the headquarters and hub to some of Italy's top automotive and mass transit companies- tires, trains, engines, cars, war machines and more made the hamlet an industrial landscape of factories, warehouses, and workers' housing. 80 years later, the landscape has evolved into Tetris of low, red brick building, midsize angular hangars to form a mini, gridform city of administrative and financial offices, factories, state university, shopping malls and Pirelli Hangar Bicocca. Only in Milan would you find an incredible art foundation on the grounds of a tire factory, especially when it is one of the world's largest. 10,900 square metres of exhibition galleries with a California campus vibe mixed with brick warehouses and concrete gardens, Hangar Bicocca is the Pirelli's love letter to site specific art installations. 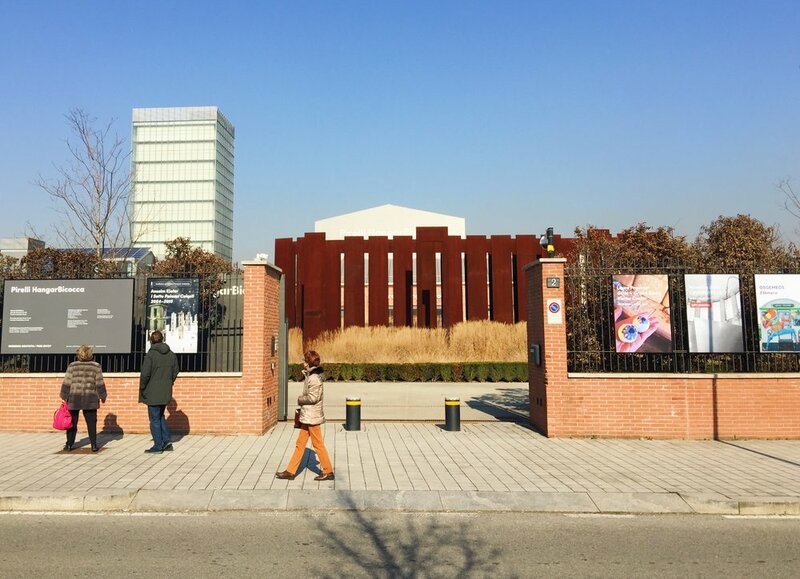 Comprised of three buildings - the Shed (a series of connected, low brick buildings), the Navata (an amazing and huge hangar), and the Cubo, Hangar Bicocca is free-entry, interactive art space for permanent and temporary exhibitions. All projects are large scale, and meant to be experienced not just looked at, aside from Efemero, a mural project by Brazilian artist Osgemeous on the external facade of the Cubo. And Hangar Bicocca is a combination of interior and exterior spaces, whose enclosed garden is playground (on any day there are school visits), social scene (the caffe has an outdoor seating area) and post-apocalyptic Instagram background - Fausto Melotti's enormous La Sequenza (1981) - a sequence of oxidized iron sheets 22 metres long, 7 metres high and 10 metres wide surrounded by tumbleweeds - is a permanent resident. The other permanent resident is Anselm Kiefer's The Seven Heavenly Palaces, an interior landscape within the Hangar landscape and a walk around Kiefer's pysche through seven fragile cement towers and five, large scale mixed-media paintings. Appearing every now and then in the dark hued palette of greys, whites and black, are uniformed members of Hangar Bicocca's pit crew, young art monitors wearing Pirelli red jackets with the clever hashtag #arttothepeople, treading on trend as much on Borgo Pirelli's famous 1943 workers' strike. Off to the side of the shed is Dopolavoro, a beautiful caffe restaurant with chalkboard walls and open seating that seemed as much the hip meet up as the perfect business lunch spot. It is-- the menu is seasonal, Italian regional and organically curated by chef Lorenzo Piccinelli. So yeah, this is how I get my contemporary fix... Milan + art, with a glass of Arneis and tartar.